This is not a parable. Everywhere in the scriptures that you see “A certain man or woman, that event in time actually took place. So, once upon a time in reality, we know there was a woman. And this woman’s name, we do not know. Her identity has been imposed on her by her affliction, which has lasted not twelve days, not twelve months but twelve years. It was a situation you look at and you almost concluded nothing good was going to happen again. What have you gone through that has lingered? What has been your experience? This woman was a fighter. She sought for health with all her might and all she had. She enlisted all the many Doctors around her who kept draining her lifelong savings to the point where she had spent all. After spending all she had in different tests, buying drugs, going for surgeries, the situation got worse! Have you sought for solutions on an issue before and yet what happened was that the problem got bigger? 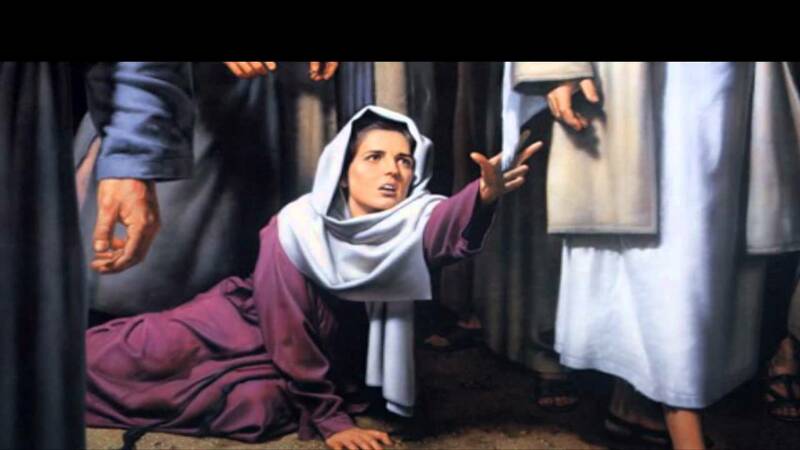 Mar 5:27 (KJV) “When she had heard of Jesus, came in the press behind, and touched his garment”. This woman will not give up. Her experience with Doctors would not snuff out her hope of getting solution. She was losing blood, she was losing money, but she refused to lose hope. And this is where a lot of people male mistake. Your experiences at trying different means should not exile you into a place where you are now disenfranchised; when the real help from God shows up. Your past failed attempts at relationships; does not mean you will never get married. You just have to have enough trust in God that something good and great would still happen in your life! Mar 5:28 (KJV) “For she said, If I may touch but his clothes, I shall be whole”. Amplified Version paints the picture better; Mar 5:28 (AMP) “FOR SHE KEPT SAYING, If I only touch His garments, I shall be restored to health”. This is the key to her eventual healing! She kept releasing those words into the atmosphere. She kept altering the world by uttering the words. She was not rehearsing her past failures. She was not looking for pity party. She might have lost a lot of blood, lost a lot of money, but her heart is intact. And out of the abundance of the heart the most speaks. So she kept speaking life, even while she was experiencing death. She kept oozing out faith while her blood was oozing out of her body. Her bank accounts were depleted, but she kept saying! She knew that words are spirits. She knew that words can overwhelm her life, give it a direction and bring her desires. And the same truth is what will bail you out today. I don’t care about what disappointments you have gone through, but I care about what you are saying! My dear KHCites, keep saying the right words. My dear Partners, after you have given, keep verbalising your harvest. Never, ever complain against God. But keep talking His word. Before long, your victory will be manifested. You see, Jesus is right up there interceding for you before that Father. You now need to be on the same page and keep saying those words! Heb 4:14 (KJV) “Seeing then that we have a great high priest, that is passed into the heavens, Jesus the Son of God, let us hold fast our profession”. I see God coming through for you as you hold on to His word. I see supernatural help coming for you! I see God’s hand upon you like never before! Glory to God. The devil is a liar over your life. You will not be barren for life. You will carry your babies with your own hands. Your children will turn out right. Keep saying those words. Your health will be restored. Keep saying those words. Your marriage will be great. You spouse will find you. Keep saying those words. It is a matter of time. God’s word will not fall to the ground. You will rejoice at the end. Do not allow the devil to push into iniquity because of desperation. Keep hope alive. Keep your faith burning. Mediate on the word. Keep saying those words out. I await your testimonies! Glory to God! Kindly share your thoughts. God bless you.